Daniel Barbiero is a double bassist and composer with an interest in the material life of sound and gesture. In addition to his solo work he serves as Musical Director for the Nancy Havlik Dance Performance Group. Antoine Beuger was born in 1955. He studied composition with Ton de Leeuw in Amsterdam and in 1992, together with Burkhard Schlothauer, he founded Edition Wandelweiser. He has acted as Wandelweiser’s managing director since 2004. In 1994 he started his, now widely known, concert series KLANGRAUM in Düsseldorf. Antoine Beuger’s music has been performed worldwide, and has been awarded several international prizes. Warren Burt is an Australia-based composer of American birth. He is known for composing in a wide variety of new music styles, ranging from acoustic music, electroacoustic music, sound art installations, and text-based music. Burt often employs elements of improvisation, microtonality, humour, live interaction, and lo-fi electronic techniques into his music. Daniela Cascella is an Italian writer. Her research is focused on sound, literature and listening across a range of publications and projects. Over the last few years she has practised and theorised Writing Sound in connection to reading, memory, personal/collective histories, and the interplay between fiction and criticism. At the core of her current research is a new book, F.M.R.L (Zero Books), that will feature a collection of short critical texts and fictional fragments on the ephemeral, recording, the inability of naming sound and the possibility of writing it nonetheless. In recent years she has been increasingly drawn to and experimenting with the performative dimension of reading aloud, and she is currently writing a series of text-scores to accompany such performances. Loren Chasse considers the sounds of natural and unnatural settings, situations, and found objects a spirited material that may be transported, mutated and reintegrated under new conditions to yield hybrid apparitions of spaces, things and moments. The microphone as an extended ear composes as it moves through a space, recognising various thresholds and sites where ambient sounds blur and begin to detach from their sources. George Charman is an artist based in London. His work explores the social constructs of architecture imbued in theprocess of making and its ability to act as a bridge between the mutable world and a space beyond what is here. The work plays with notions of aspiration and ideas of eternity as a state of mind; forever progressing in vain to an unknown point like negotiating your way through a mirrored maze that is constantly re” configuring itself. Joseph Clayton Mills is an artist, writer, and musician who lives and works in Chicago. He is member of the band Haptic, and has material released on labels including FSS, Entr’acte, and Bloodlust!. He is the author of the short story collection Zyxt. Seth Cluett is an composer, performer, and artist whose work ranges from photography and drawing to video, sound installation, concert music, and critical writing. His “subtle…seductive, immersive” (Artforum) work has been characterized as “rigorously focused and full of detail” (e/i) and “dramatic, powerful, and at one with nature” (The Wire). Exploring the territory between the senses, Cluett’s works are marked by a detailed attention to perception and to the role of sound in the creation of a sense of place, the workings of memory, and the experience of time. His research interests and critical writings investigate embodied experience, immersive multi-media systems, the media history of the loudspeaker, the history and documentation of sound as an expressive medium, and architectural acoustics as compositional material. Seth Cooke is a percussionist and sound recordist based in Bristol, UK. He frequently uses improvised, process and location”driven methodologies and often works with materials happened upon by chance. He has been a contributor to the Bang the Bore collective since its inception. David Dunn is a composer and acoustic ecologist. He rarely presents concerts or installations and instead prefers to lecture and engage in site-specific interactions or research orientated activities. In 2005 he was the recipient of the Alpert Award for Music and the Henry Cowell award in 2007. He lives in Santa Fe, New Mexico. Julia Eckhardt is a viola player on the intersection between experimental composed and improvised music. She is responsible for Q-O2 werkplaats, a laboratory for music and sound art in Brussels, where she has initiated several collaborative thematic projects (‘//2009//’, ‘doundo/recycling G’, a.o.). She is member of ‘incidental music’, and lives in Brussels. Patrick Farmer is a musician and sound artist, one of the founding members of the set ensemble, co-founder of the compost and height label, got his first drum kit at 12 years old, will soon be publishing his first book, try i bark, and recently walked 350 miles of the welsh coast during which he began to write a piece entitled, nothing else in the sea. Farmer is co-editor of Wolf Notes and co-founder of Compost and Height. Rebecca Glover is a multidisciplinary artist working across sound, foley, sculpture and performance. She studied at EPAS in Ghent (2018), with Alt MFA (2013), Edinburgh College of Art (2009), St Oswald’s School of Painting (2006). Exhibitions, performances and residencies include work shown at York Art Gallery (UK), with Contrechamps (Geneva), with Kammer Klang and Abstruct at Cafe Oto (London), KIOSK (Ghent), De Bijloke Muziekcentruum (Ghent), Yorkshire Silent Film Festival (UK), Pump House Gallery (London), Overtoon (Brussels), Gouvernement (Ghent), Florence Trust (London) , Hewing Whittare Project Space, Diaspore Space, SHELF (Wales), Deptford X (London), Radiophrenia at CCA (Glasgow), Project Radio (UK). Jesse Goin worked for 25 years in the field of advocacy for persons with multiple disabilities. Both his parents were musicians, engendering in him a life-long involvement with music. Goin has written about new music for The Wire, Paris Transatlantic, and, most feverishly, his blog, crow with no mouth. In 2011 Goin assumed a curatorial role as Crow With No Mouth promotions, dedicated to presenting seldom-heard music to Twin Cities audiences. Sebastiane Hegarty explores the temporality of place and materiality of sound. Working with field-recording, micro-FM transmission and the performance of phonographic objects and actions, his soundwork has been exhibited, performed and broadcast across the UK, Europe and America. Recent transmissions and performances include Deep Wireless:NAISA (Ontario, 2019) Corpora Aliena (The Iklectik Art Lab, London, 2018), Radiophrenia (Glasgow, 2018), Datscha Radio (Berlin, 2017), and Helicotrema at Museum Punta della Dogana (Venice, 2016). The radio piece, It’s Just WhereI Put My Words, was commissioned for the BBC 3 series Between the Ears in 2013. Sebastiane received his PhD from the Sculpture Department of Winchester School of Art at the University of Southampton in 2003 and currently lecturers in The School of Art, Design & Fashion at Solent University. 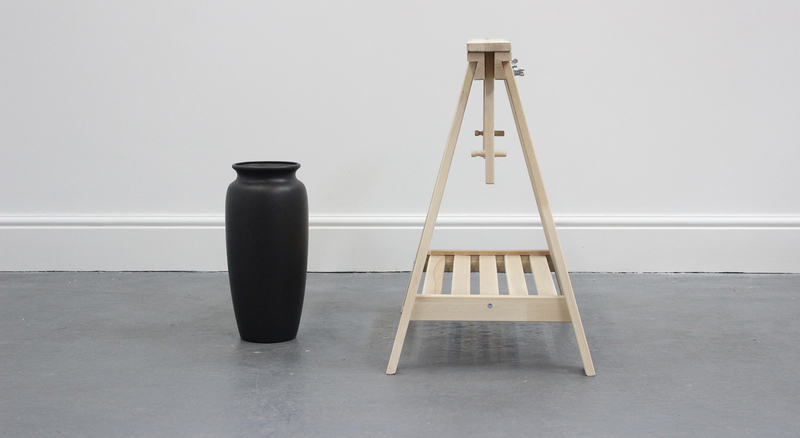 Sarah Hughes is an artist working across installation, sculpture, drawing and sound. She is the co-founder of Compost and Height and co- editor of Wolf Notes. She has exhibited and performed internationally. Jeph Jerman spent his formative years playing bar band music while also experimenting at home with tape recorders and faulty instruments. He became entangled in the world of free improvisation after many false starts with various bands and ran various labels and published too many records, CDs and tapes. He began composing almost by accident and formed the first animist orchestra in 1999, which continues to the present day, most recently at Oberlin college. Jerman spends much time investigating drones composed of vibrating metals: pot lids, old bowls, excited strings etc., and continues to make field recordings, build crude sound making devices and write about listening. Freya Johnson Ross is an artist and researcher working with sound and installation. Her interests are focused on sound and listening across disciplines, knowledge production and understanding, and equality, and she strives through her practice to invoke people’s reflection on the intangible and their own perceptions. Her current work addresses the politics of listening and the making and re-purposing of sound archives. London based, though originally from Glasgow, she works at UCL, and has degrees from the University of Cambridge, Wimbledon College of Art, and the University of Sussex. Jason Kahn is a musician, artist and writer. As an electronic musician, vocalist and drummer Kahn collaborates regularly with many musicians, both in improvised settings and in the context of graphical scores which he composes for specific groups. Kahn has exhibited his installations in museums, galleries, art spaces and public sites internationally. These works focus on the idea of space: the conceptual and physical juncture points, its production and dissolution, and our relation to it as a political, social and environmental medium. Kahn’s other activities include sound pieces for radio, film, dance and theater. He has also designed numerous CD, LP and cassette covers. As a writer, his work has appeared in books, magazines and as liner notes to many audio publications. Performing regularly around the world, Kahn has given concerts throughout Europe, North and South America, Australia, Egypt, Hong Kong, India, Israel, Japan, Korea, Lebanon, Malaysia, Mexico, New Zealand, Russia, Singapore, Turkey and South Africa. Caleb Kelly is a lecturer at the Sydney College of the Arts, the University of Sydney, Australia. Dominic Lash is a double bassist and composer active in improvised and experimental music. Resident in Oxford for a decade, he spent much of 2011 in New York and has recently relocated to Bristol. Notable activity in 2011 included duos with Rhodri Davies, Evan Parker, Michael Pisaro, Fay Victor, Alex Ward and Nate Wooley; tours with the Convergence Quartet and two different Diatribes Quintets; the Amplify (New York) and Just Not Cricket (Berlin) festivals; and CD releases on the Another Timbre, Babel and Psi labels. Chris Mann is a composer working in Compositional Linguistics, his work is mainly to do with the technology and philosophy of speech. Performer (voice), since 1989 with Machine for Making Sense and most recently Chris Mann and the Impediments. 1999 Artist in Residence, Harvestworks and RPI. His commissions include: Astra Choir, John Cage, Composers Forum, Paris Autumn Festival, Australian Biennale, Radio France, Ars Electronica, Radio Telefis Eirann, Australian Broadcasting Corporation, National Public Radio, Revue Telematique d’Art Contemporain, Dance Works, Dance Exchange, Lingua, Art et Lectures, Abraxas, Foundation for Contemporary Performance Arts, la revue parlée, V2, Australian Network for Art and Technology, Goethe Institut, Shire of Healesville, Anzart, Christian Television Association, Commission for the Future, International Synergy, ABC Staff Union, Australia Council, Perth Institute for Contemporary Art, Festival de la Batie, Sprach Ton Art, Brisbane Biennial, BBC, Taklos Festival, ORF, Urban Aboriginal, American Society for Cybernetics, bobeobi, Adelaide Festival, Experimenta, Interpretations. Will Montgomery makes electronic music, sound art and field recordings. His musical pieces explore aural texture and narrative. He also constructs compositions from sequences of treated or untreated field recordings. He is interested in the acoustics of the built environment, particularly London. His most recent release is “Heygate”, one side of a 12″ issued on Winds Measure (with a piece by Robert Curgenven on the other side). He is the author of The Poetry of Susan Howe (Palgrave, 2010) and the co-editor of Frank O’Hara Now (Liverpool UP, 2010). He has published widely on poetry and music. He teaches at Royal Holloway, University of London. Tim Parkinson is an independent composer, based in London, UK since 1997. Music has been written for various groups and ensembles including Apartment House, [rout], Incidental Music, Dedalus, Basel Sinfonietta, London Sinfonietta; and for various instrumentalists including Stephen Altoft, Angharad Davies, Rhodri Davies, Julia Eckhardt, Anton Lukoszevieze, Tanja Masanti, Andrew Sparling, Craig Shepard, Philip Thomas, Stefan Thut. Music has been performed in UK, Europe, USA, Armenia, New Zealand, Japan. He is also active as pianist and performer, both independently and also by invitation, having been an occasional performer with Apartment House, and Plus-Minus, and having performed in the UK in venues such as Tate Modern, Barbican, Huddersfield Contemporary Music Festival, and further afield in Europe, and South America. Since 2003 Parkinson has been regularly performing with composer James Saunders in the lo-fi electronics, auxiliary instrument and any-sound-producing-means duo Parkinson Saunders. In 2005 launched the yearly London based concert series, “Music We’d Like to Hear” with composers John Lely and Markus Trunk. Richard Pinnell is the author of The Watchful Ear website and often writes for The Wire magazine. He is a very naughty boy. Michael Pisaro’s music is published byEdition Wandelweiser(Germany). Recordings of his work, solo and collaborative, have been released by Edition Wandelweiser Records, Erstwhile Records, Another Timbre, Slubmusic, Cathnor, HEM Berlin, Winds Measure and on Pisaro’s own imprint, Gravity Wave. Before joining the composition faculty at the California Institute of the Arts, he taught music composition and theory at Northwestern University. Larry Polansky has worked extensively in composition, computer music, software development, theory, performance and American musics. He was on the faculty of Mills College in Oakland, CA, and directed the Center for Contemporary Music there. He is the author of a number of books and articles, has several solo CDs released, is an editor for a number of major theoretical and computer music journals, and is the founder and director of Frog Peak Music (A Composers’ Collective), an organization dedicated to publishing speculative theory and experimental music. He currently teaches in the graduate program in electro- acoustic music, and courses in computer music, theory and composition on the undergraduate level. Simon Reynell has worked in television for 25 years, mostly over the past 12 years as a documentary sound recordist, in 2007 he founded Another Timbre Records. James Saunders is a composer with an interest in modularity, series, and group behaviours. He is Head of the Centre for Musical Research at Bath Spa University and performs in the duo Parkinson Saunders. See http://www.james-saunders.com for more information. Mark So lives in Los Angeles. His many pieces variously take form as scores, tapes, and other more obscure manifestations, exploring ordinary situations through simple recording/transcription/reading and changing experiences of silence. Mostly un-scored practices drive his latest work (involving different uses of text, type, and tape), which remains preoccupied with the mysterious and chaotic dimensionality of language – the music of its emergent nature. In 2014, his publishing initiative DEATH-SPIRAL released 3 titles: Dark Interiors/Places of the Heart, a tape of So’s music; New complaints. New rewards, a book/dvd by Stuark Krimko & Mark So; and Immaterial, a collection of text compositions by Jason Thomas. Adam Sonderberg is a composer, one-third of Haptic, and former co-director of the Dropp Ensemble. He is the author of the recently published American Hours with German Efficiency (Entr’acte) and maintains a blog by the same name. David R J Stent is an artist, writer, curator and musician. His practice draws on various media including drawing, photography, digital and print publishing, film and video, sonic and sculptural installation. He regularly performs with the Set Ensemble and is the Programme Leader of the Fine Art Department at West Dean College. Salomé Voegelin is the author of Listening to Noise and Silence: Towards a Philosophy of Sound Art, Continuum, NY, 2010. Other writing includes ‘Ethics of Listening’ in the Journal of Sonic Studies, Vol. 2, 2012, and a chapter on durational radio for the forthcoming book Magic Spaces – 25 years of Kunstradio, Austria. Her work “Moving Stones” Is part of the award winning compilation “Autumn Leaves” by Gruenrekorder. Most recently her work has been included in ‘Being Honeyed – An exhibition of Sound(in)Art’ at Soma Contemporary in Ireland and in SOUNDWORKS at the ICA in London. Manfred Werder was born 1965 and is a composer, performer and curator. His work focuses on possibilities of rendering the practices regarding composition and field. His recent scores have featured either found sentences from poetry and philosophy, or found words from whatever impacts. His performances, both indoors and outdoors, aim at letting appear the world’s natural abundance. Earlier works include stück 1998, a 4000 page score whose nonrecurring and intermittent performative realization has been ongoing since December 1997. Nick Wood is an artist living and working in Scotland. In 2011 he graduated from Falmouth University College after completing studies in BA (Hons) Fine Art. Wood’s practice is underpinned by an interest in synergy; examining the subtle slippages of human influence, tracing how action and meaning subsides from objects, materials and images, and considering how histories can be reformed and reread. Solo Shows include: Slippy Sloppy as part of MELON, The Number Shop, Edinburgh, Scotland, (2017). Group Shows include: Koolie, Ditto Press, London, England, (2016); HUE, Arts at the Old Fire Station, Oxford, England, (2015). Residencies include: Kauno Menininkų Namai, Kaunas, Lithuania (May 2018). Nate Wooley is a trumpet virtuoso whose musical explorations have taken him through ecstatic jazz, free improvisation, drone composition, and noise into a place very much his own, characterised by intense dynamics, an acute awareness of space, and a complex and organic sense of structure. Recent collaborators include John Zorn, Chris Corsano, Akron/Family, Peter Evans, Wolf Eyes, Joe Morris, and Evan Parker.